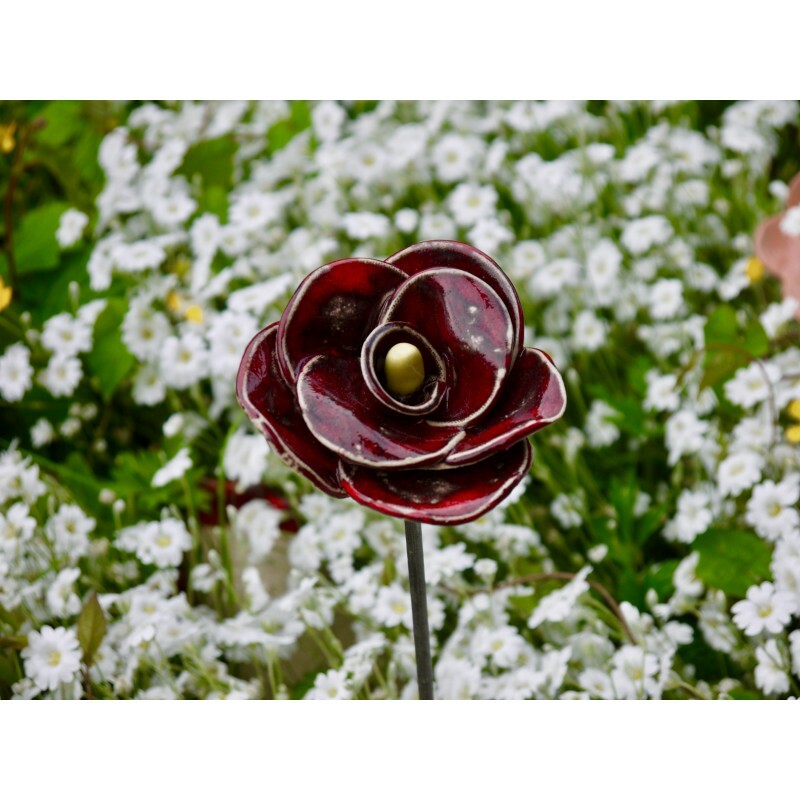 Red ceramic rose mounted on metal rod. 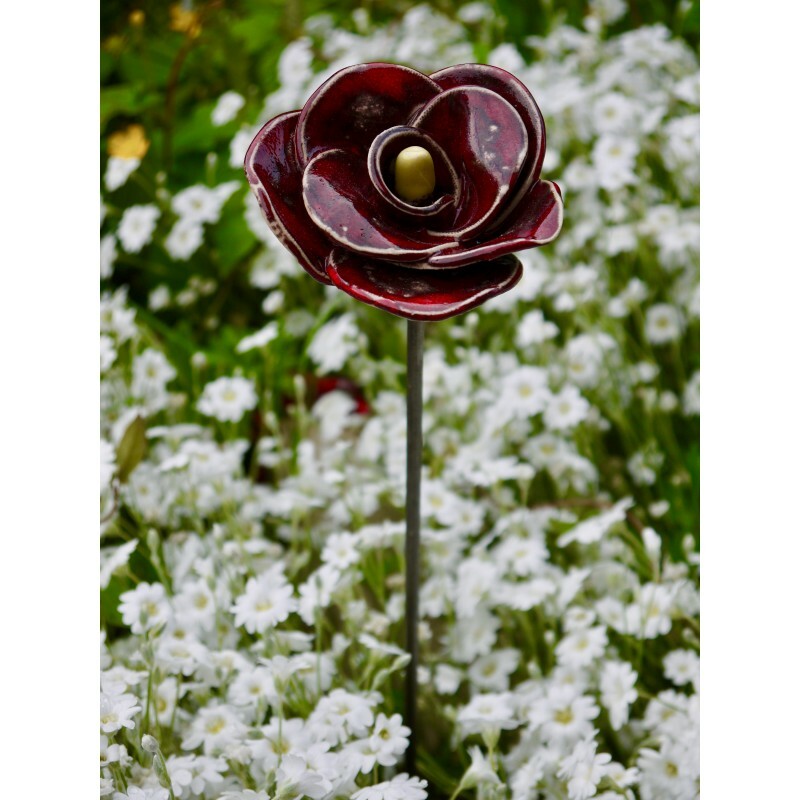 Red ceramic rose mounted on a high quality, weatherproof metal rod, perfect for decorating your garden. 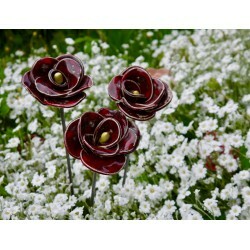 The stem will take on a nice orange hue, which will look great in your garden. 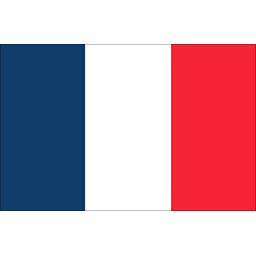 Dimensions, weights and colours are not contractual and may vary slightly by the fact that each piece is hand made and unique.